Time for New Pool Equipment? ! Welcome to Redlands Pool & Spa Center Poolwerx, your full-service one-stop destination for all things pool and hot tub related. 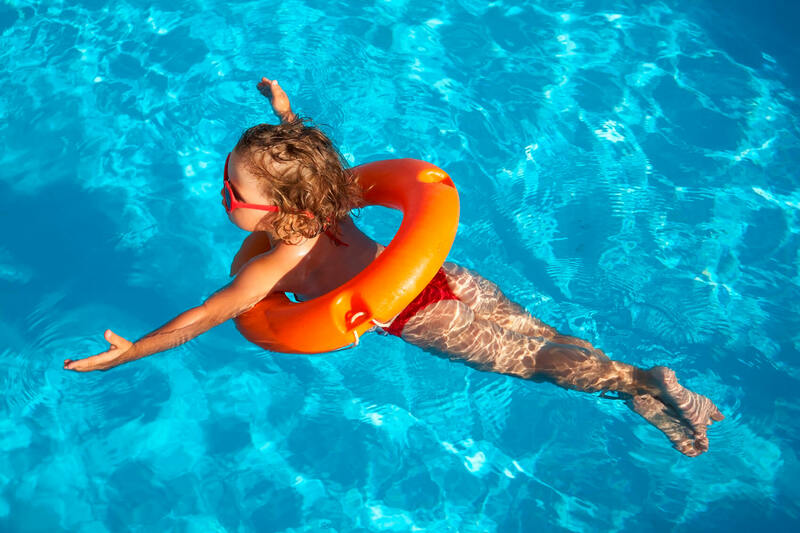 We know that as a pool and spa owner your time is best spent enjoying the water with family and friends and we can help make that happen with a minimum of effort on your part. As the premier pool and spa company in Redlands, Loma Linda, Yucaipa, Highland and the surrounding area for more than 32 years, Redlands Pool & Spa Center Poolwerx is geared toward making pool ownership enjoyable, relaxing and easy. Thinking about a pool remodel or a brand new pool? We can handle everything from backyard design to pool renovation, including all the latest “smart” technology, which will make your pool easier to operate AND more energy efficient. We hold a California Swimming Pool Construction license (C53-494950), and we’ve built our business on maintaining our reputation for quality and integrity. Would you like to incorporate a hot tub into your backyard? There are many benefits to being a hot tub owner — your very own relaxing oasis for stress relief, joint comfort, sleep enhancement, just to name a few. Come visit our showroom to see the latest, best selling Hot Spring® portable hot tub models and see how you can take advantage of incorporating a hot tub into your backyard today. Looking for pool and spa supplies or backyard accessories? Redlands Pool & Spa Center Poolwerx carries a large inventory of pool and spa chemicals, parts and energy-efficient equipment from Hayward, Pentair and Zodiac. 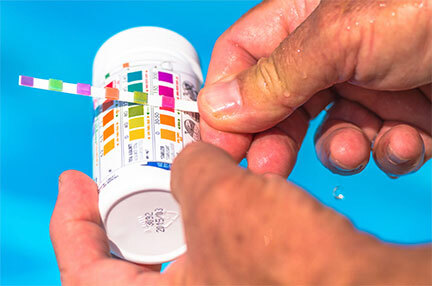 Our showroom also features computerized BioGuard water testing stations to make sure your pool and spa water is well balanced. And just in case you like to add a little fun to the pool, we have an assortment of floats, toys and backyard accessories to choose from. As an authorized Big Green Egg dealer, we offer a full selection of models and accessories that will help keep your al fresco dining skills on a par with professionals. Big Green Eggs are only sold through authorized brick and mortar retailers such as Redlands Pool & Spa Center, ensuring that you will get the best service and support. Need professional pool maintenance and repair? We offer weekly pool and spa service programs for busy pool owners like you because your time is valuable. Our certified professional service technicians are passionate about pool and spa maintenance and get no greater satisfaction than knowing you will enjoy your pool or spa time in healthy, clear water. The Redlands team is also well-versed in pool and spa equipment repair and installation. 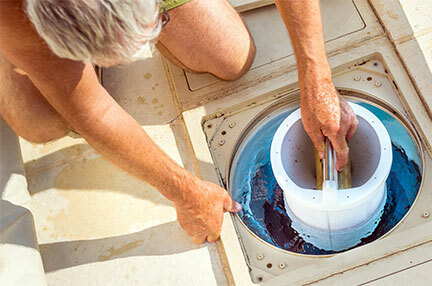 With more than 50 years of combined service experience in the pool and spa industry, our repair and installation technicians are experts in plumbing, electrical and the latest energy-efficient technology. Redlands Pool & Spa Center Poolwerx is your backyard’s best friend, and we take pride in taking care of your pool and spa. The Big Green Egg isn't just a grill – it's a grill, a smoker, a roaster and an oven, and it's perfect for entertaining in your backyard all year long. The smaller Eggs are even great for tailgating! Visit us today to see our large selection of Eggs and "Eggcessories" and become a part of the passionate and fun Egg-Head family. Pool and spa ownership should provide maximum fun with a minimum of effort, and that's why our retail store is fully stocked with a large inventory of easy-to-use pool and spa chemicals, parts for the "do-it-yourselfer", energy-efficient equipment, as well as toys, floats, and a variety of other backyard accessories. 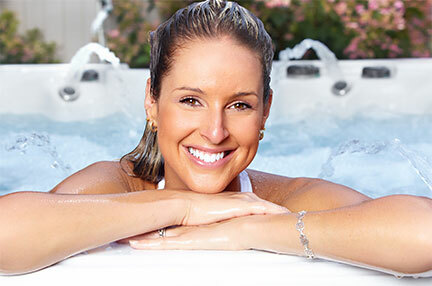 Soaking in a hot tub is a sensory experience: the warmth that surrounds you; the sound of bubbling water; the massaging. It’s time to bring on Spring with your Big Green Egg, so line up those recipes and get cooking. Your family. Have you noticed the changes? We have joined the Poolwerx family and our Retail Store, Weekly Service & Repair compo. NEW PRODUCT! MULTICYCLONE CENTRIFUGAL FILTER The MultiCycone Centrifugal Filter by Waterco has an award winning.